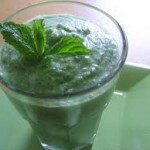 This kale and banana smoothie is a method for adding more edible greens to your diet. Moreover, it is a popular recipe amongst children, who are often notoriously picky eaters. All of these ingredients should be placed in a high speed blender. If the prescribed amount of water does not completely cover the fruits and vegetables, then you may add a little more until it does. 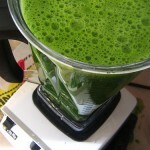 The ingredients should be blended on a high speed for 45-60 seconds. 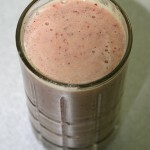 If you find that your smoothie is too thick, then you may add a little more water. 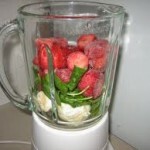 If you do not have a blender, then Vitamix, Cuisinart, and Blendtec are all excellent options for blenders. 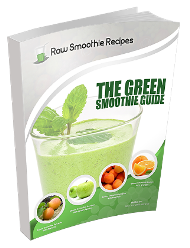 This recipe makes approximately 3 smoothies, and the ingredients can be safely kept cold for up to twelve hours without losing any of their nutritional value. 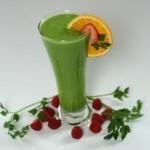 The raw smoothie recipe is great for kids when you are traveling. It serves as a great treat without the addition of preservatives or processed sugars. 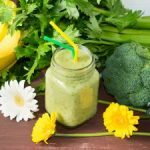 Kale is chock full of vitamins and nutrients, from potassium to fiber, and the proven health benefits of bananas are many, including Vitamin A, potassium, and iron. Bananas are also a great source of natural energy. Of course, you are encouraged to experiment with this recipe. You may find that you like a little more banana or less blueberries. 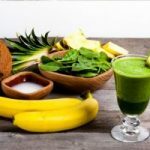 There is no right or wrong amount of ingredients to place in this raw smoothie recipe, but it is a great start to encouraging your whole family to eat healthier.